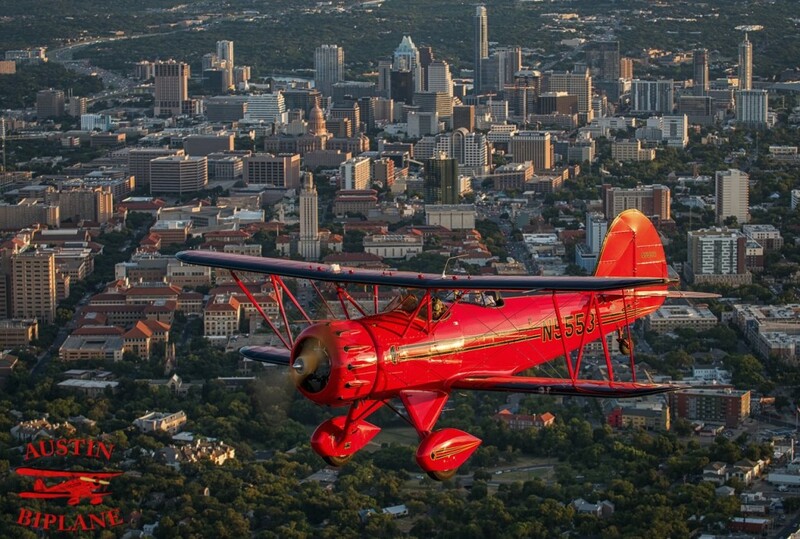 Austin Biplane - Be a Barnstormer and SOAR OVER AUSTIN! Join Our Email List To Be The First Notified When We Resume Flights! **Operations are suspended until approximately October 2019 as our owner, Captain Robert Whiteside is working for the Department of Defense in the Middle East. Don a leather flying cap, goggles, bomber jacket and scarf and take nostalgic photos in front of our beautiful open cockpit biplane. Fly over Town Lake, the University of Texas, the capitol building, the Colorado River and Lake Travis. Escape the hustle and bustle and experience Austin in its true beauty. 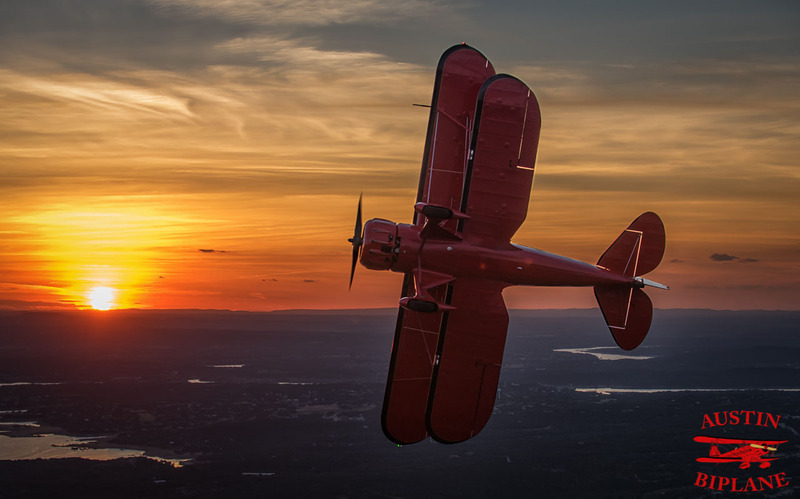 Whether you want a romantic sunset flight for two or an exhilarating aerobatic flight for one, our flights are truly unique experiences.